Styrofloor® is an insulated flooring panel, comprising of p5 moisture resistant chipboard and Styrofoam, an extruded polystyrene. 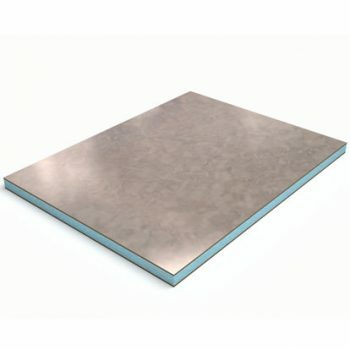 P5 grade chipboard is a high duty board designed for floor use including humid applications. The chipboard incorporates a tongue and groove detail on all four edges for ease of installation. Our chipboard is FSC approved. Styrofoam is a closed cell insulation board with good water resistance. This eliminates the need for a vapour control layer in the floor construction. Styrofoam is extruded with a unique blue colour to clearly identify the product. 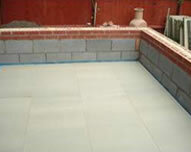 Styrofloor can be used to insulate floors in residential and commercial projects for both new build and refurbishment. It is also suitable for use in conservatories or conversion projects. In order to calculate how much floor insulation is needed, please refer to the P/A (Perimeter / Area) table above. The perimeter / area ratio is calculated by dividing the length of exposed perimeter wall (in Meters) by the floor area of the room to be insulated (in square meters). The exposed part of the wall is any wall which is connected to an unheated space e.g. the outside of the building. Rooms with less exposed perimeter will require less insulation and visa versa. A living room to be insulated has a total floor area of 16.4 square meters. Along the perimeter of the room, there is 5.3 meters of wall which is attached to the outside of the building. If the U Value requirement for the room is 0.22W/m2k, The 118mm Styrofloor board would be required which achieves a slightly better U Value at 0.21W/m2k. If you require assistance with thermal calculations, please contact our technical department on 0114 249 5626. A conservatory floor is an important construction element and incorporating insulation is vital. All year round use of the conservatory will be enhanced by installing Styrofloor. 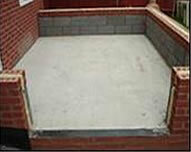 Styrofloor should be installed on a dry concrete or beam and block base without a screed. Styrofloor is a floating floor and expansion gaps must be provided around the perimeter. Floor coverings such as tiles, carpet and laminate flooring are all compatible with Styrofloor. The conversion of garages into a living space is a growing trend. Effective floor insulation is essential for living areas as it continually reduces costs and provides environmental benefits. Transforming the garage floor is made simple by the use of Styrofloor insulated flooring. One simple operation to fit insulation and a floor surface. Just apply your chosen floor covering for a final finish. 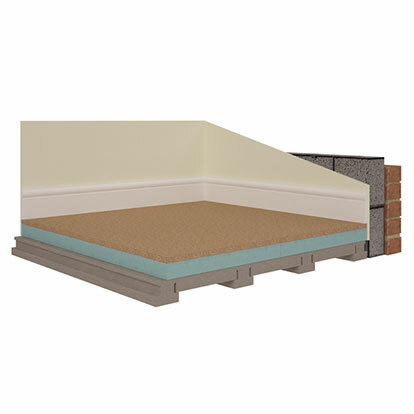 Styrofloor floor insulation boards can be laid over joists to improve energy saving in the loft space. It also provides a surface suitable for storage and foot traffic. 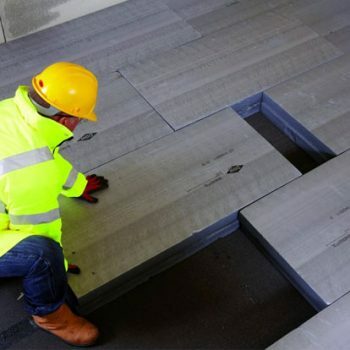 The design of floor systems to achieve Part L of the Building Regulations is easily achieved when specifying Styrofloor insulated flooring panels. A range of standard boards are available for delivery to mainland UK. Depending on the method of floor construction there is a corresponding thickness of Styrofloor to achieve a U-Value of 0.22 W/m2K. Styrofloor is suitable for use when upgrading/renovating an existing floor. If the floor is sound and dry Styrofloor can be laid directly over the existing structure. 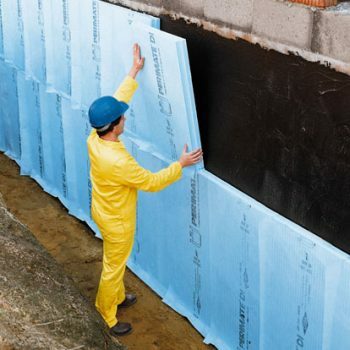 If the floor is damp then it is appropriate to install a polythene layer before the application of Styrofloor insulation boards. Styrofloor can be laid on existing or new floors. On existing floors, ensure that the skirting is removed and where necessary level use a proprietary levelling compound. New concrete floors should be left as long as possible before laying Styrofloor to allow adequate time to dry out. Providing that the new floor is level, the use of a floor screed in not essential. 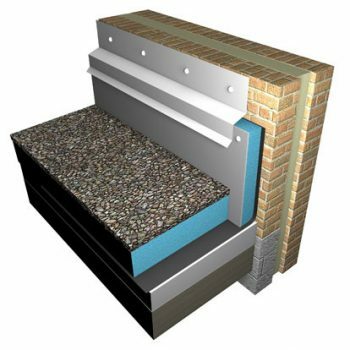 The incorporation of a damp proof membrane should be in accordance with established building practices (see BS8102). 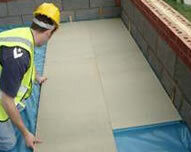 In the absence of a damp proof membrane, a 1000 gauge polythene sheet can be used prior to laying the Styrofloor. Where continuous flexible sheet (e.g. 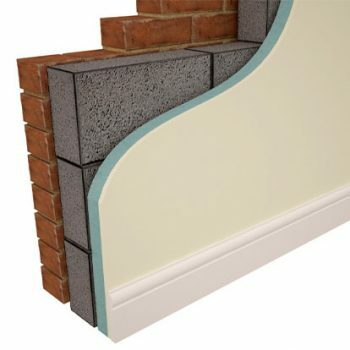 PVC) is used, it should be turned up at the wall abutments. Ensure that all subsequent boards are positioned so that cross-joints are staggered to produce a brick pattern. All joints should be bonded using water resistant PVA adhesive. When laying adjoining boards, ensure that the tongue and groove joints are engaged and then tap each board with a suitable block to ensure it is tight-up against the adjoining board. 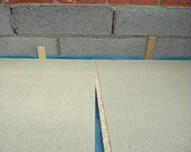 The Styrofloor boards should be laid with a 10-12mm expansion gap at all abutments, between walls and the chipboard. All joints should be bonded using Water Resistant PVA Adhesive, to obtain the best results, allow the adhesive 24 hours in which to harden. To obtain the best results, allow the adhesive 24 hours in which to harden before removing wedges. Check that expansion gaps are clear prior to the fixing of skirting boards. Should there be any unevenness, Styrofloor can be sanded down to the required level. The final floor finish can now be laid directly onto Styrofloor. Carpet, laminate or tiles can be used onto the chipboard which provides a sturdy and long lasting finish. What is the weight of Styrofloor? Each Styrofloor panel weighs between 18Kg to 26Kg (40lbs to 57lbs) depending on the foam thickness. What thickness of Styrofloor is required? Are there any other product options? Is Styrofloor resistant to moisture? Yes. The chipboard grade is suitable for humid conditions. Styrofoam is a closed cell foam and therefore resistant to moisture. Are fixing instructions available to download? Yes. See our installation page. Will Styrofloor require fixing to the floor? Styrofloor is laid as floating floor system and therefore does not require direct fixing to the floor. What if the floor is uneven? If your floor is not level then use sharp sand to fill up to a max. of 10mm. Over 10mm use a self-levelling compound. What types of floors are suitable for Styrofloor? Styrofloor can be used on most floor construction system including concrete, beam and block and timber. In the case of timber, the joist widths must be 50mm min, and be set no more than 400mm apart. I have a U value to achieve, which thickness do I need? Can I lay ceramic tiles over the Styrofloor? Yes. The choice of adhesive and grout should be for a floating floor and the Tile distributor should advise of suitable brands. 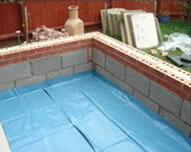 Will the floor construction require a damp proof membrane? Yes if required by the floor construction. Will a vapour control layer be required? No. Styrofloor is laid without a vapour control layer. 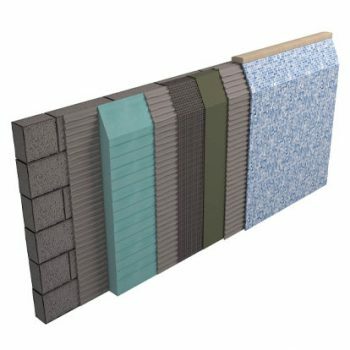 Can I use electric matting UFH over Styrofloor? Your UFH supplier should advise on it’s suitability for installation on a floating floor. Yes. Use a fine tooth power saw or similar. Styrofloor is supplied on a timber pallet with polythene protection. It is recommended that Styrofloor is stored flat prior to use. Styrofloor must be placed in the area of application for a minimum of 24 hours prior to installation. Styrofloor will arrive on a commercial vehicle. Where small quantities are required then off-loading manually is likely. For larger volumes, on-site forklift facilities will be required. Special vehicles e.g. Hiab, can be prearranged with our sales office for an additional charge. Give us a call on 0114-2495626. What is the likely delivery time on Styrofloor? Will you supply Styrofloor outside mainland Britain? Styrofloor is available for collection from our warehouse on Parkwood Industrial Estate, Rutland Road, Sheffield S3 9QY. See the map on our contact page for more info. Can Styrofloor be purchased locally? Styrofloor is manufactured in Sheffield UK. Credit accounts may be considered for larger, or regular orders. Please contact our sales office for further details on 0114 2495626. Other payment methods include credit card through our online shop.